SUNNYVALE, Calif., May 8, 2018—Trimble (NASDAQ: TRMB) announced today that it has added Crop Health Imagery and Work Orders features to its Trimble® Ag Software. The software is a desktop, cloud-based and mobile-enabled agricultural solution that simplifies farm data management to drive productivity, profitability and sustainability for farmers, crop advisors, ag retailers and food processors. After launching the agriculture software two years ago, Trimble has paid close attention to customer feedback. As today’s farms continue to grow in size and complexity, Trimble is continually enhancing its software solution to add more value with two new features—Crop Health Imagery and Work Orders—which are available at no additional cost. 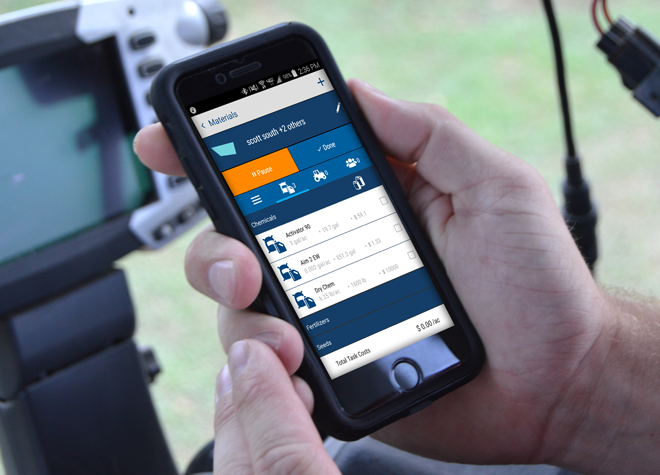 The features leverage the Trimble Ag Mobile app for in-field crop scouting and the deployment of field work—all with a smartphone. Crop Health Imagery, powered by PurePixel™ technology, provides reliable, cloud-free, calibrated satellite images to farmers and their trusted advisors. PurePixel leverages a proprietary algorithm to analyze multiple sensor inputs to produce calibrated vegetative index maps throughout the growing season. This unique calibration allows farmers to compare crop health at each growing stage for more targeted crop scouting. This enables smart in-season application decisions, helping farmers maximize yields and improve productivity. Work Orders takes the guesswork out of assigning and tracking field work for farm managers. This easy-to-use mobile feature assists in managing logistics, assigning tasks, tracking progress, and making quick adjustments to maximize efficiency and farm productivity. In addition, farm workers can use their smartphone to receive daily tasks, resulting in better usage of time and potentially reducing application mistakes. For more information or to order Trimble Ag Software, visit: https://agriculture.trimble.com/software.